This semester, we got many notes from the professors as PPT slides. Sometimes it was boring to read the blank slides, and sometimes the slides have ugly, not-so-good designs as well. So, how to design them better? 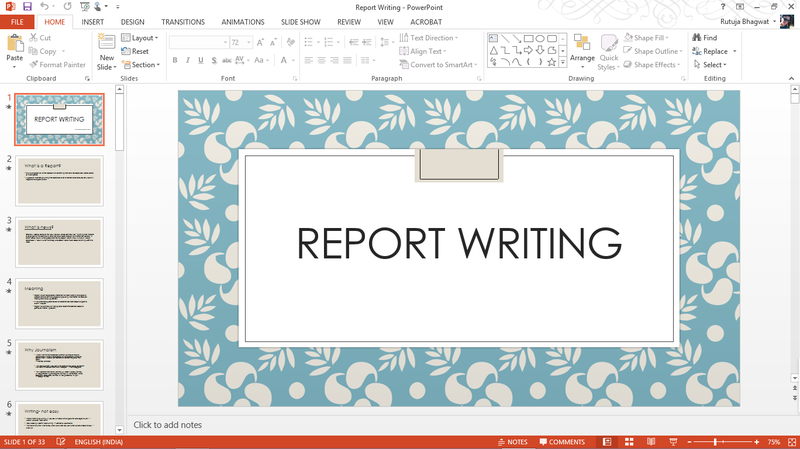 MS Office PowerPoint 2013 is incredible. 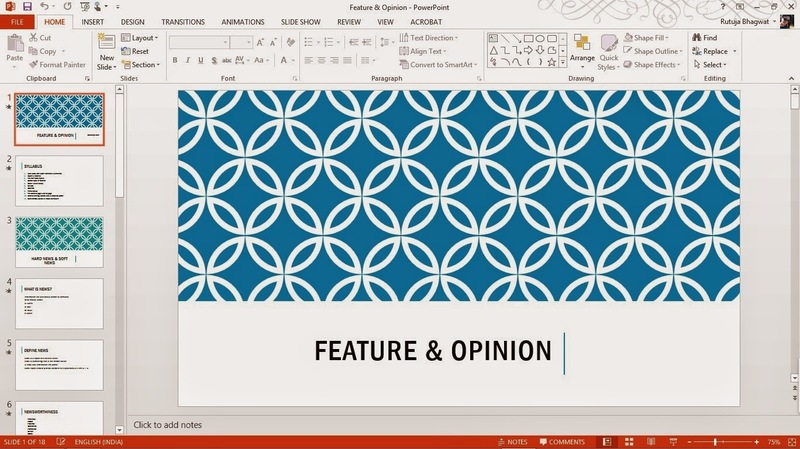 (I will write a post on favourite features of MS PowerPoint 2013 soon.) 2013 has inbuilt themes that are really good. If you don't have 2013, you can always download different themes from the internet. And if you don't have good themes, you need to create new yourselves. -You can also change the fonts to your favorite ones. 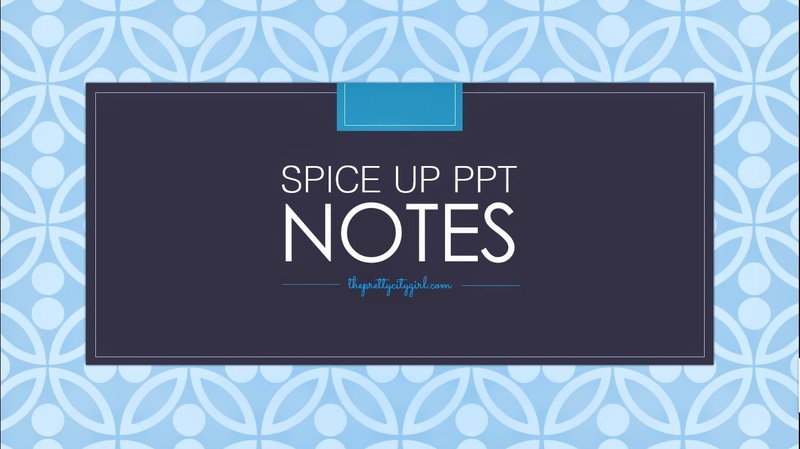 -You can add pictures, write notes, and highlight to decorate the notes.